It’s been a year packed with activities and events telling the world about the contributions civil engineers have made to society. Two hundred years ago, a small group of engineers got together and founded the Institution of Civil Engineers – and during 2018, ICE has been celebrating the industry’s amazing achievements all around the world since then. From a record-breaking number of votes in the ICE People’s Choice Awards to a travelling Invisible Superheroes exhibition to Engineering Plymouth, a film narrated by comedian Dawn French, the Institution has shared the story of civil engineering to thousands of people as part of the ICE 200 campaign. A major focus of ICE 200 was to educate members of the public about civil engineering, and to inspire young people to consider careers in the industry. ICE did this through programmes such as Explore Engineering, Pitch 200, Café 200, and 200 People and Projects. Events included the Great North Engineering Experience (GNEE) exhibition in Newcastle, organised by ICE North East, which welcomed over 34,000 visitors. ICE North East also gathered together a group of female engineers to celebrate the 90th birthday of the Tyne Bridge (which was designed by ICE’s first female member, Dorothy Buchanan). In addition, ICE 200 was celebrated at Coventry Cathedral with a dedicated service, where past ICE President Sir John Armitt gave the first reading. 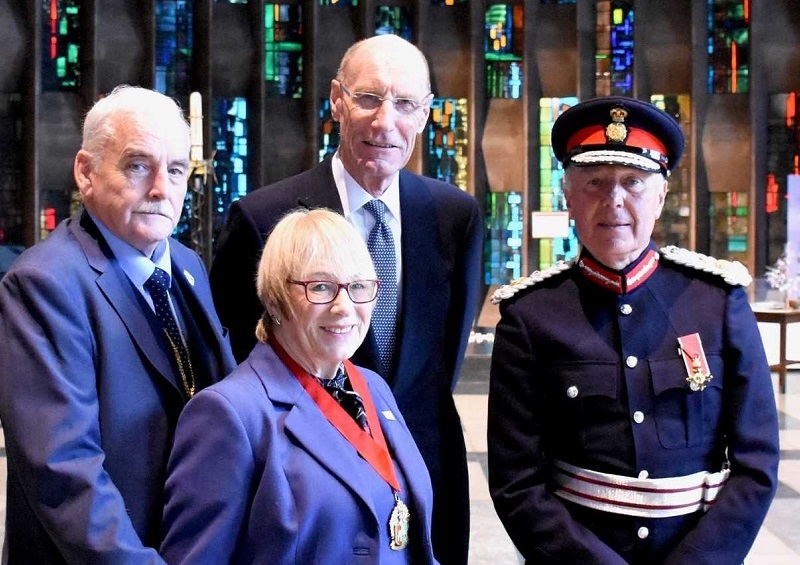 L-R: Deputy Lord Mayor of the City of Coventry, Councillor Linda Bigham; ICE Past President Sir John Armitt CBE and Her Majesty’s Lord-Lieutenant of the West Midlands, John Crabtree OBE, at the Coventry Cathedral service. Meanwhile in London, a national service to celebrate engineering was held at Westminster Abbey, where the first reading was given by current ICE President Andrew Wyllie. As well as the public, ICE engaged the wider industry by hosting the Global Engineering Congress (GEC), in partnership with WFEO. GEC, a week-long event in October, was the biggest-ever conference in the Institution’s history. It brought 3,500 delegates from 82 countries to ICE’s London headquarters, One Great George Street to talk about how engineers can help to solve the United Nations’ Sustainable Development Goals. Café 200 was based on the fact that the ICE founders first met in a coffee shop – Kendal Coffee House in London’s Fleet Street. The programme was a series of talks by volunteer members, who visited community groups to explain how civil engineers have transformed lives. These ranged from a visit to a nursery in Northern Ireland to bring civil engineering to life for a group of four-year-olds to a Café 200 stage at ICE New Zealand’s family-focussed, public event, Engineering the Future. Meanwhile, ICE Wales ran talks to a wide range of audiences, including the Conway 50+ group, the Cardiff Civic Society, at the Royal College of Surgeons Conference, Howells School, Penarth WI, at the Sunday Careers Fair at Y Pant School.